2013 Jetta. Beautiful Toffee Brown. Only 39000 kilometres! 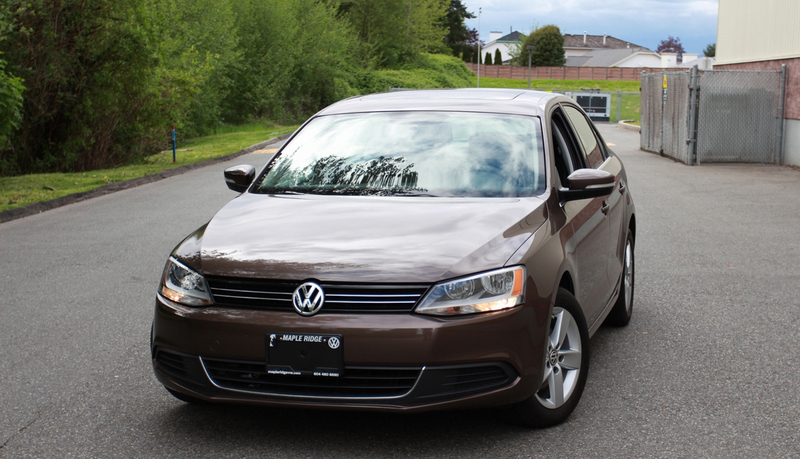 2.5L 5 Cylinder engine This super clean low km Jetta is in the rare Toffee Brown colour! Low km and exceptionally clean vehicle! Powered by the fuel efficient 170hp 2.5L 5 Cylinder engine that averages 9.1L/100km in the city and only 6.5L/100km on the highway! With features such as Bluetooth hands free controls + voice command, Alloy wheels, Power Windows/Mirrors/Locks, Heated front seats, A/C, Satellite Radio Capable, MP3 Player, Fog lights and much more!